Today I am coming to you with another Auyvedic product (yes I know) and as the title states, it can be used as a substitute for commercial Shampoo! 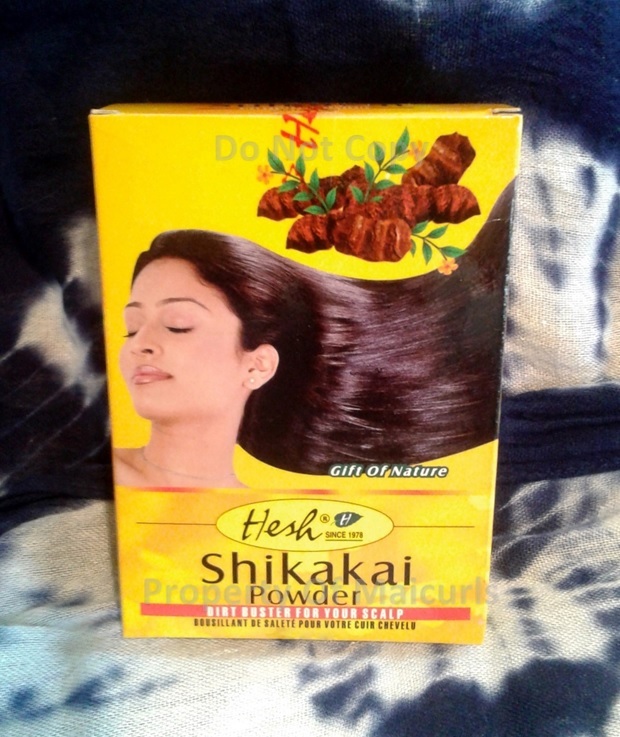 Shikakai powder (which means “fruit for hair”) is predominantly found in Asia – most noticeably India and is derived from fruit pods of the Acacia Concinna tree. To use Shikakai you do not need any additional ingredients apart from water however, I know some people might add a little oil to the mix. Note: Shikakai only lathers up moderately. 1. Box method – 6 tablespoons of Shikakai and 8 tablespoons of water. It made a really thick paste and I applied it to my damp scalp as instructed. I carefully and slowly massaged my scalp for a few minutes while in the shower, left it on for 5 minutes and then rinsed it off with lukewarm water. While I was rinsing it off I would glide my hands down the length of my hair so that there would be some contact but it was not concentrated. Pros- My scalp felt and looked really clean! I had no buildup at all and although I only really concentrated on my scalp the length of my hair also felt clean. I did not get that “squeaky clean” feeling which normally happened when I used shampoo but it definitely removed buildup and oil. Con – My hair felt a little more dry afterwards and less “conditioned” and it took a couple of rinses till I felt like I got all the mix off my scalp and hair. I knew I needed a DC after rinsing it out because even while my hair was damp it felt a little dry. Using a “paste” was a little too thick/heavy to be massaged into my scalp. 2. Second Method – I prepped my hair by doing a hot oil treatment for 30 minutes before applying the Shikakai. 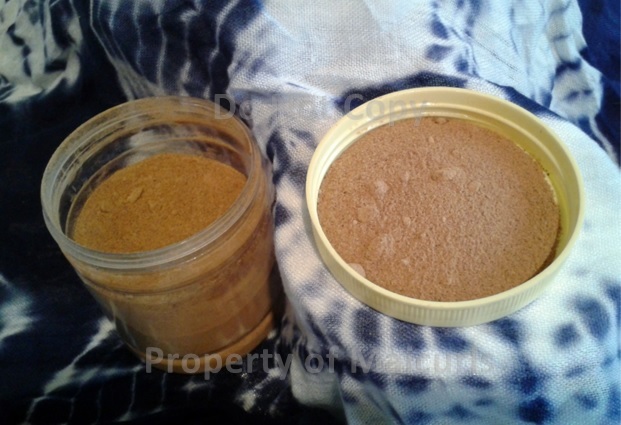 I used less powder and a lot more water (3 tablespoons Shikakai and 3/4 cup of water). I put the mixture in an old (clean) squeeze container and liberally squirted the mixture over my scalp. (Do not get it in your eyes it will burn and feel uncomfortable!) Since it was a lot more liquid-based, the mixture ran down my hair as well. I gently massaged just my scalp and let it sit for 5 minutes before rinsing it out with lukewarm water. Pros – Again my scalp felt and looked really clean as did the length of my hair. No buildup, no squeaky clean feeling and my hair did not feel overly dry. I think because I used more water, less powder and did a hot oil treatment beforehand I was happier with how my hair felt. Nevertheless I did follow up with a DC just for precaution. Cons – It was a little difficult keep the mix on my scalp since it was very watery (it helps to apply this while in the shower.) Apart from that I cannot complain. *UPDATE: I forgot to mention the scent of Shikakai. It does not have the most pleasant scent. I guess I would describe it as having a strong herbish smell. I really can not point my finger on anything to compare it to but it does have an “earthish-herbish” smell with a hint of spice (sorry that probably doesn’t help.) After the rinses the scent dissipated a little and with the DC that followed I did not notice it anymore. Would I buy this again? Yes, but I would use my second method because my hair felt better with that method. P.S. I was not asked/paid or compensated to mention the company or brand. The product was bought with my own money and the review was based on my own personal experience. Have you tried Shikakai as a shampoo? If so, what did you think? If not, do you use any other Auyvedic powder as a natural shampoo? Let me know! This entry was posted in Ayurvedic Herbs for Hair, Natural Hair Shampoo, Natural Ingredients for curly hair, Natural Shikakai Hair Shampoo, Shikakai and tagged Acacia Concinna, Acacia Concinna Shampoo, Ayurvedic Herbs, Ayurvedic herbs for hair, Ayurvedic Natural Shampoo, Natural hair shampoo, Shikakai, Shikakai Hair Shampoo on April 28, 2014 by Maicurls.